1997 - Foxfire Orquidia, dark grey Andalusian (PRE) filly by Politico. Owned by Delana Metcalf/Foxfire Farm. 1998 - Political Questions & Answers, dark dapple grey Andalusian colt by Politico. Owned by Natasha Powers/Powers Farm, FL. 1999 - Noche Sin Fin, black going grey Andalusian (PRE) colt by Toboso. Owned by Sarah Whelehan/Lickety Split Acres. 2000 - Savannah, light grey/white Iberian Warmblood filly by Found My Thrill[TB]. Owned by Martha Baker/Dreamland Farm. 2001 - Things That Shine, black Andalusian (PRE) colt by Toboso. Owned by Natasha Powers/Powers Farm, FL. 2002 - Midnight, black Andalusian (PRE) colt by Toboso. Owned by Carson McKee/Devil Creek WW Stables. 2003 - RP Valldemosso, black PRE (Andalusian) colt by Toboso. Owned by Veronika Kulajtová/ranch Pearl. 2004 - Storm of the Century, grey (bay) Andalusian (PRE) colt by Valentino IV. Owned by Erin Logan/Red Wolf Ranch. 2005 - Political Party, white grey Andalusian (PRE) colt by Politico. Owned by Natasha Powers/Powers Farm, FL. 2006 - Catalina C, grey Andalusian filly by Arlequin. Owned by Shannon Hayden/Wolf Hollow Farm. 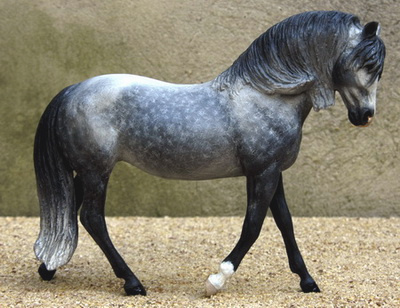 2007 - Political Movement, white grey with black points Andalusian (PRE) colt by Politico. Owned by Natasha Powers/Powers Farm, FL. 2008 - Exotica C, grey Andalusian (PRE) filly by Manchar. Bred by Caballos Del Mar/Gubbera Park. Owned by Kay Myers/Caballos Del Mar. 2009 - MB Asfaloth, dapple grey Andalusian (PRE) colt by Manchar. Bred by Caballos Del Mar/Gubbera Park. Owned by Steph Peacey/Maple Brook Farm Stud. 2010 - PS Christopher, white grey Andalusian colt by Cristobal. Owned by Natasha Powers/Powers Stud. 2011 - Oscuro Custodio, black Andalusian (PRE) colt by Toboso. Owned by Autumn Rupert/Twilight Mirkwood. 2012 - GH Sombra del Norte, grey Andalusian colt by Valentino IV. Owned by Jane Schneider/Glyn Haven Farms. 2013 - Bossa Nova Baby, buckskin Andalusian colt by Carmelo DFC. Owned by Natasha Powers/Powers Ranch.